Here we are with a pretty simple DIY plan for a beautiful wooden table! 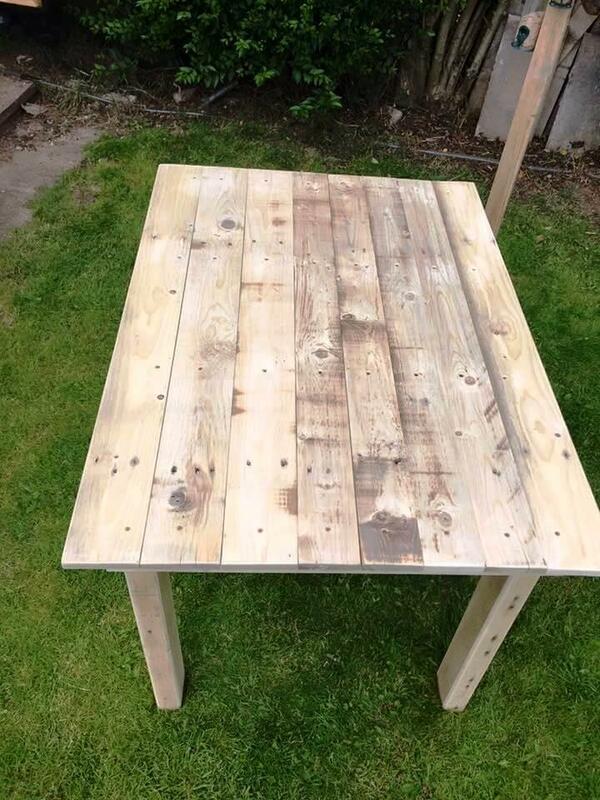 Grab some free pallets lying around your home to manage the necessary supply of wood for entire table construction! Peek into the creative details of this self-made DIY pallet coffee table, is more simple to build than you can think! Build a hollow wooden rectangular frame and just make it more stable by adding more cross supports! You can prepare a lattice frame for building the robust wooden top by integrating straight single pallet slats! Fill this lattice frame solid by putting straight the pallet slats until you get the thick wooden table top! 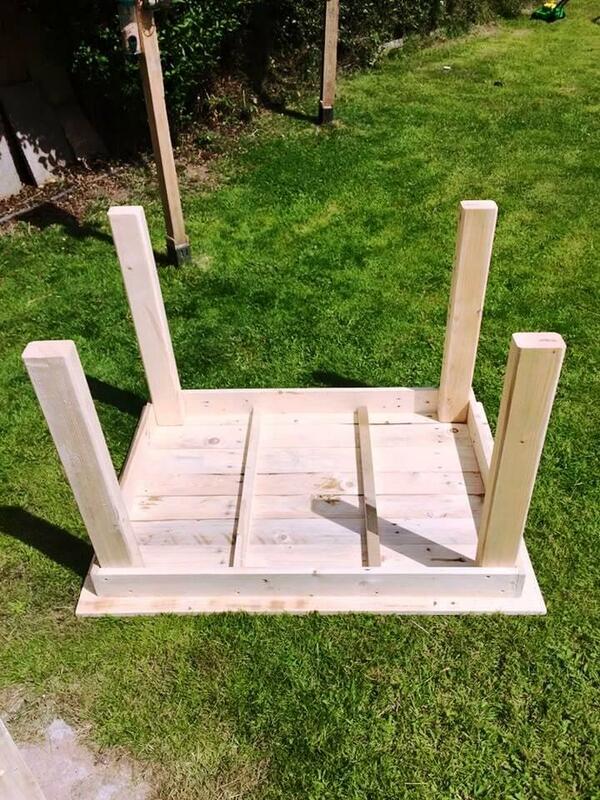 Be precise while sizing the pallets and you can also make some dry arrangements before assembling the parts with hardware! 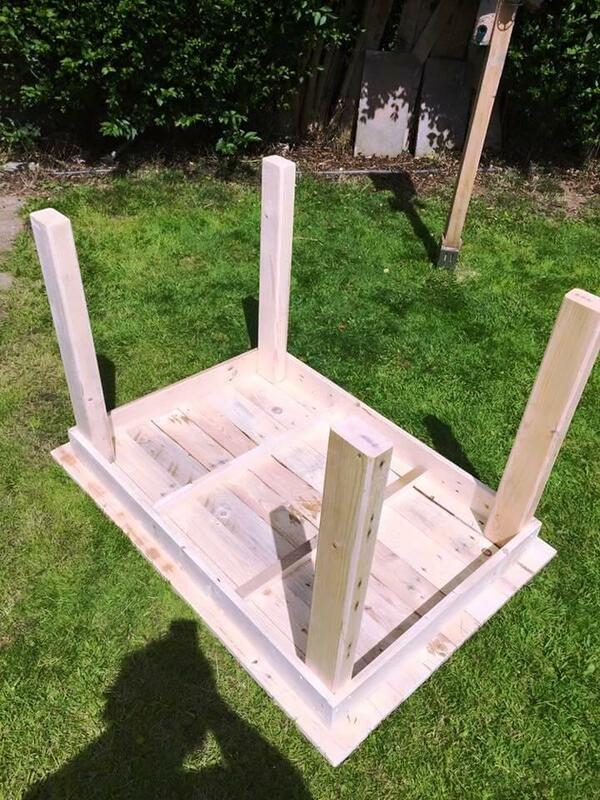 After building the top, it has been flipped over and placed over the garden ground and then legs have been installed which are actually the equally long and thick pallet slats! So table is all ready to serve for your decided purposes! Build a hollow lattice frame first for the tabletop by putting together the resized pallet slats! 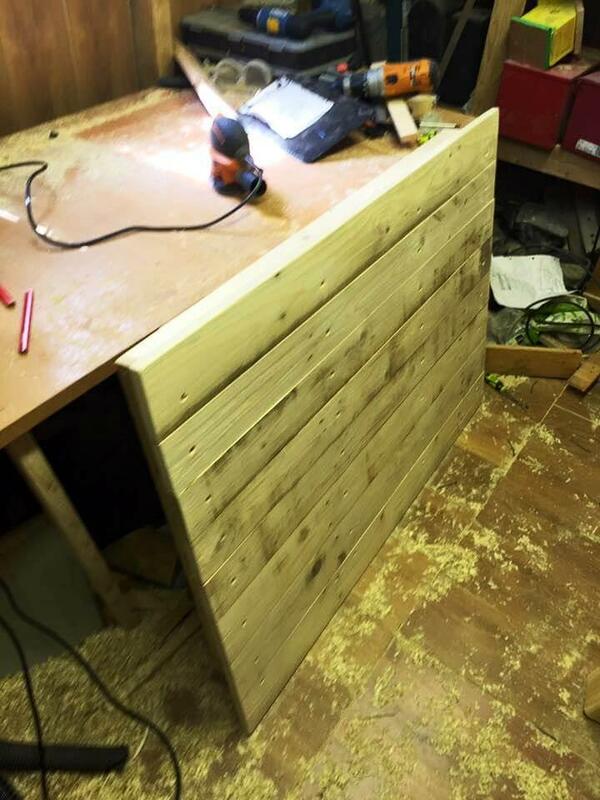 Then put flat a number of more pallet slats over it for a solid tabletop! 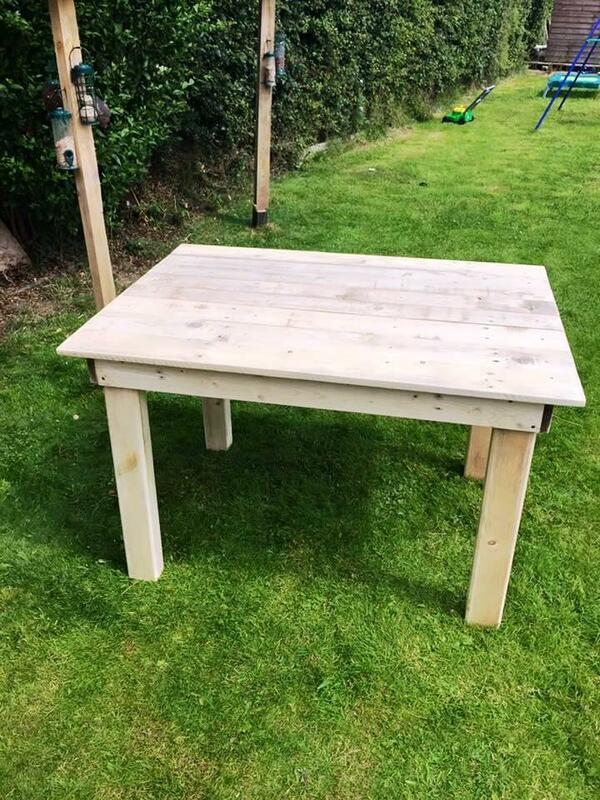 Flip this hand-built tabletop over the garden ground and install the legs inside the corners of the tabletop frame! Add nails and glue to hold the legs well in place and just let the glue layers dried for sometime! After overall assembly the table is all ready to plan for routine use! Would be all mind-blowing to decide as a coffee table for sitting plan! 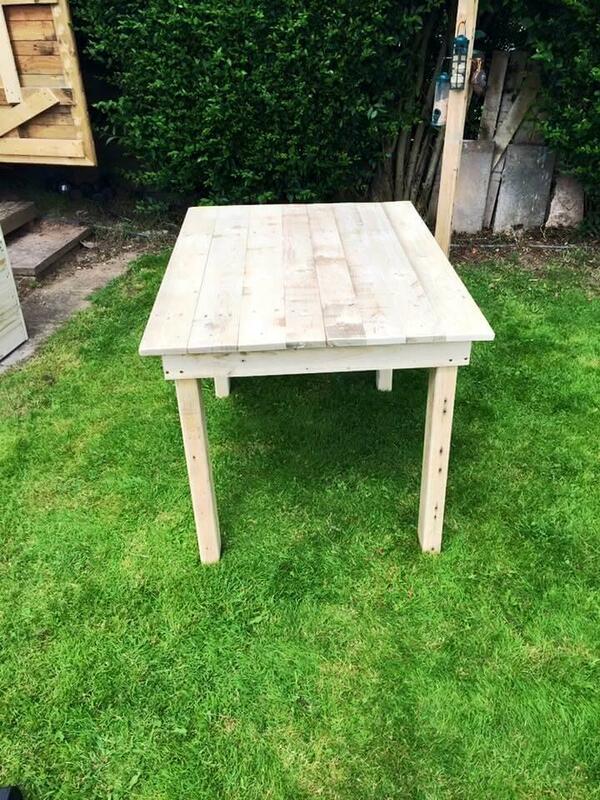 Table comes on a little raised height level and is good for multi-purposing in home or garden! A little use of chalk paint, stain or a wood oil can bring more stability and charming appeal to this self-installed pallet table!